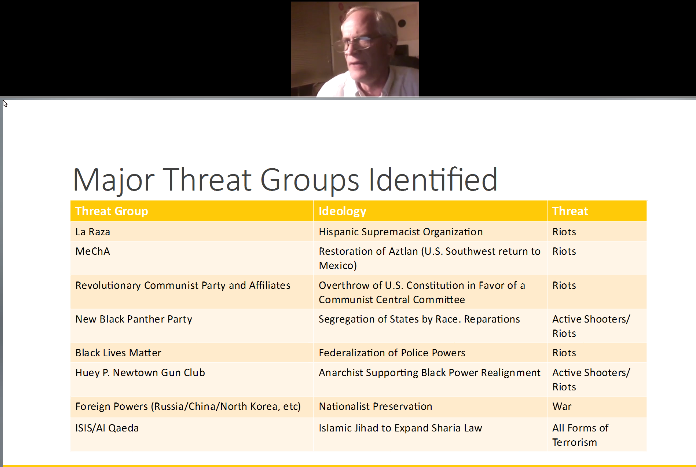 The anti-government group Oath Keepers called on its members last week to form “incognito intelligence gathering and crime spotting teams” on Election Day to root out voter fraud. 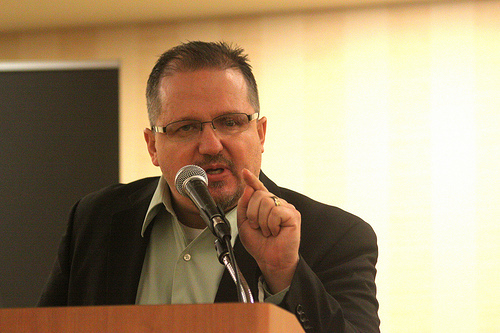 But the group’s concerns run even deeper. 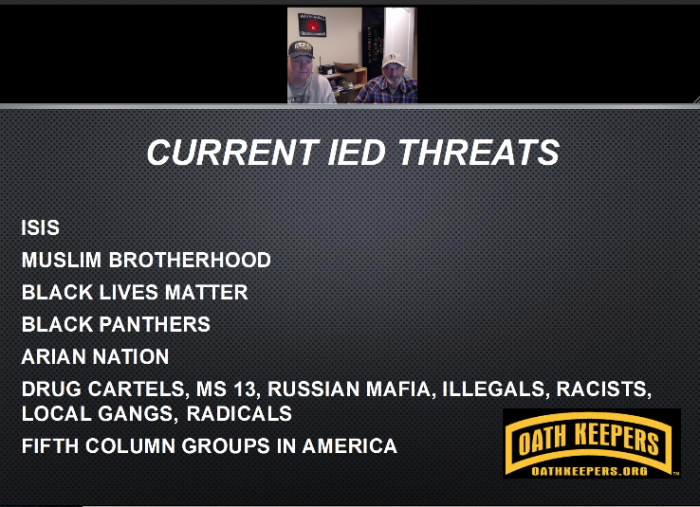 In a webinar last night hosted by Oath Keepers president Stewart Rhodes, Oath Keepers leaders counseled members on how to prepare for pre- and post-election “civil unrest,” which they said would almost certainly come from supporters of Hillary Clinton. 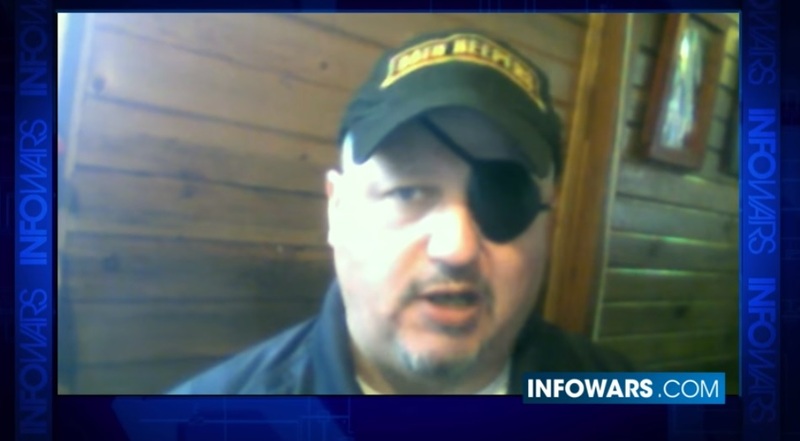 A man who goes by the name of Navy Jack, whom Rhodes describe as a lead intelligence officer for Oath Keepers and who is a frequent blogger on the group’s website, explained that Donald Trump is certain to win the election unless he is stopped by “large-scale voter fraud.” If Clinton’s allies think she won’t win, he said, they’ll find a way to cancel the election. 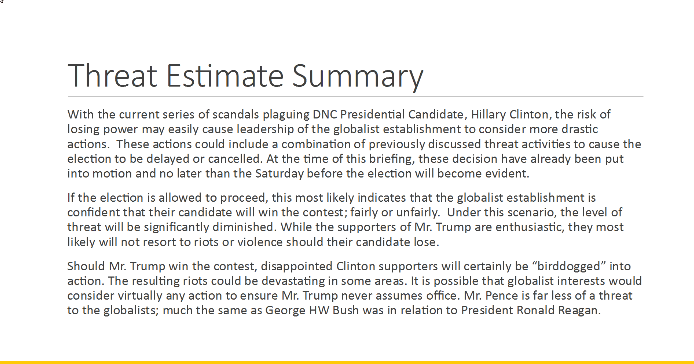 If the election moves forward and she still doesn’t win, he said, America should be prepared for “provacateured post-election unrest and riots” or “false flag” attacks, the blame for which would be placed on right-wing extremists, thus deligitimizing Trump’s victory and justifying the invoking of emergency powers and preventing the smooth transition of power. 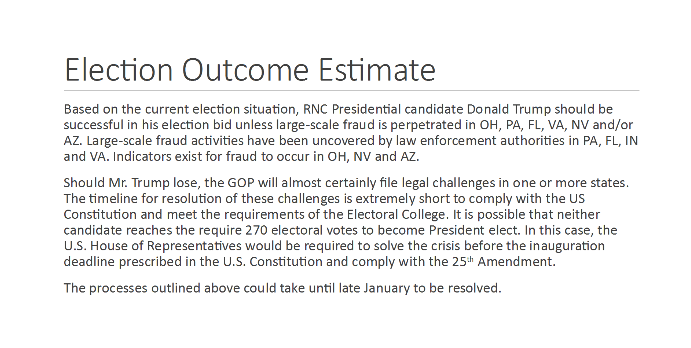 The name of James O’Keefe, the conservative provocateur who’s been trying to prove the existence of widespread voter fraud, came up a number of times during the call. Speakers John Kerriman and Greg McWhirter also cited the work of True the Vote, a Texas-based group dedicated to spreading fears of rigged elections. 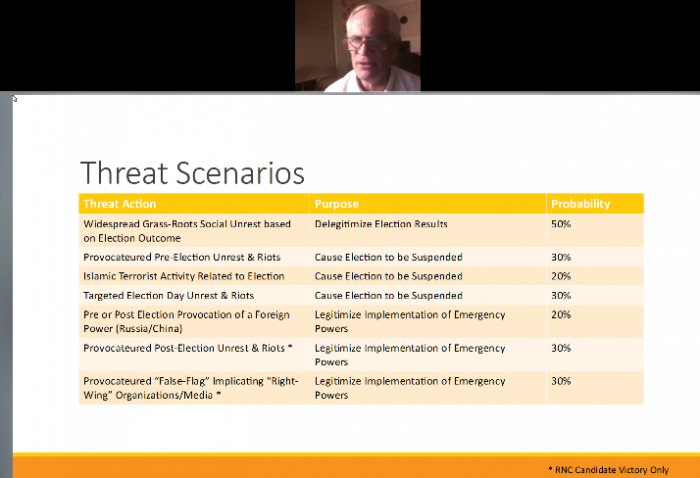 Rhodes announced that the group will be holding an additional webinar on Monday night to prepare for the “worst case scenario” of the government imposing martial law after the election.